Many of us associate the change of seasons with a change in lifestyle, with scarves being replaced with sundresses and ice cream becoming the treat of choice. These things are, however, not the only things that change with Mother Nature shaking things up on her end too. In this region, the warmer months bring with them a process known as upwelling which is a major part of what brings the fish to our coast. This upwelling is made possible only by the blowing of the South Easter, which has been out in full swing over the last few days. The effects of this cool breeze can be seen all over our bay at the moment, with a colour front transforming our waters into a pastel turquoise and playing a little with our visibility. This is due to all the sediment in the water. 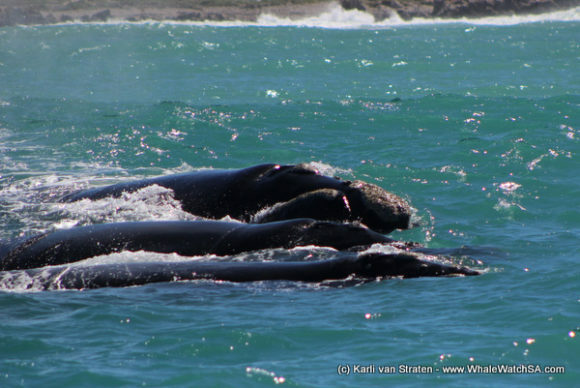 Luckily, this had very little effect on our sightings and we were able to see 4 of the Marine Big 5 on both of our trips. On the first trip, we found our Southern Rights close to shore on the other side of Pearly Beach, with this being our first sighting of the day. 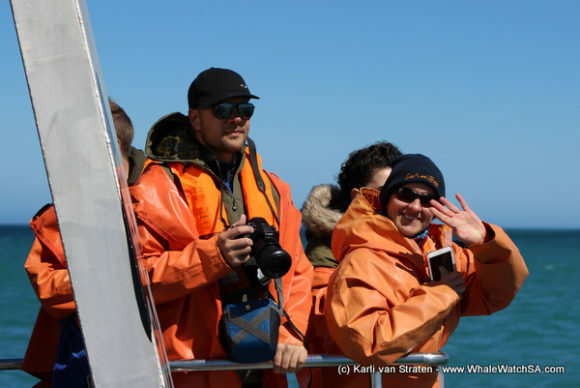 During our time with these majestic cetaceans, we also had an Indian Ocean Humpback Dolphin give us a pass or two, which was pretty special as it was none other than Summer, one of our more iconic visitors. 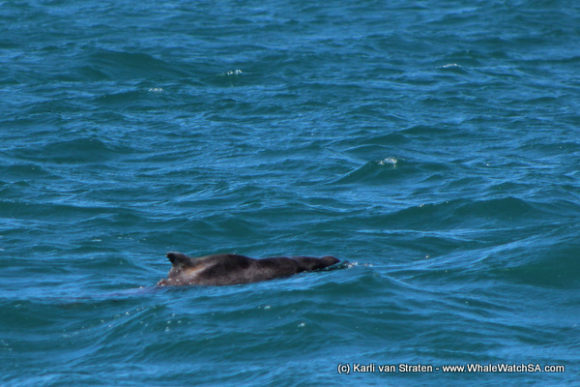 We often find Summer alone and are itching to have this distinct dude visit us over in Kleinbaai again sometime soon, perhaps after the estuary bursts back out into the ocean. 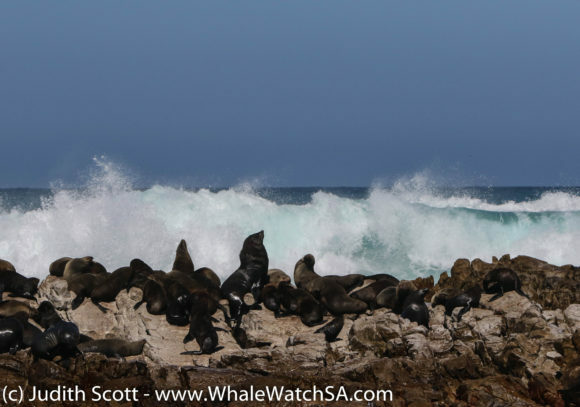 The running of Uilenkraalsmond estuary into the ocean provides a great area for fish to grab a bite to eat, which in turn, attracts these really vulnerable toothed whales bay. 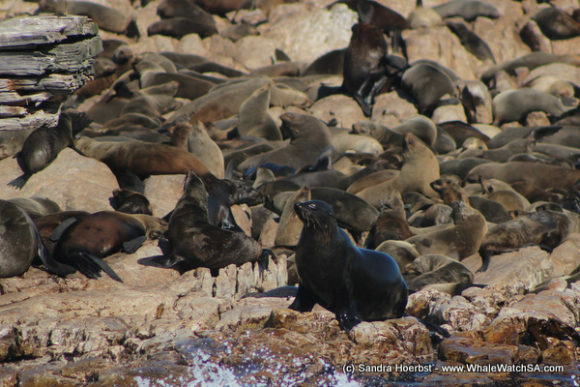 After we got our cetacean fix, we stopped by our Cape Fur Seals on Geyser Rock. 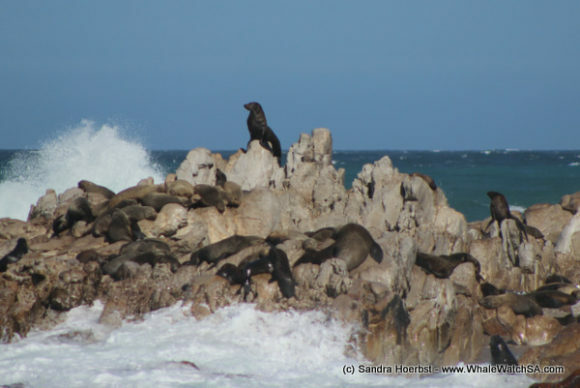 This was a particularly cool stop as there were literally hundreds of these eared seals in the water and they all seemed to be having an absolute ball. After watching them fool around and cool down, we made our way towards Slashfin. 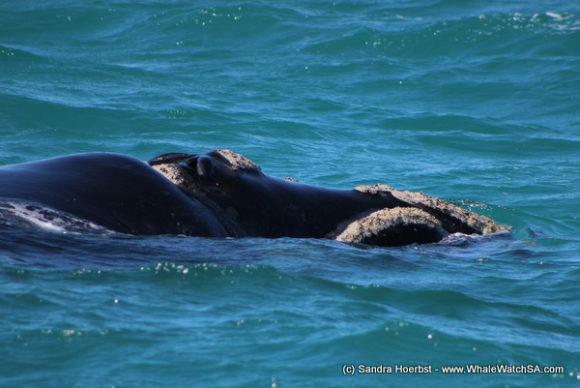 On the way, we had an awesome surprise just in front of Dyer Island when a Sub adult Humpback Whale showed up! 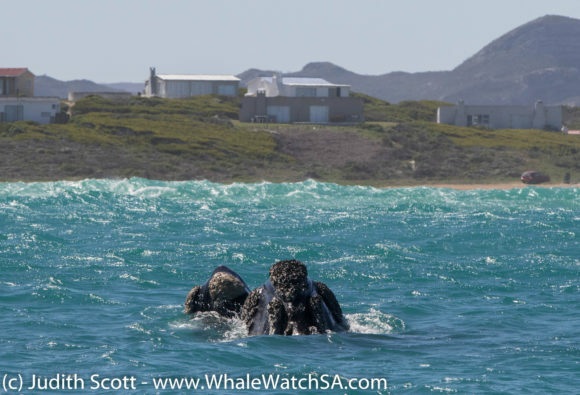 We got to watch this whale have time of his life, diving and bursting back out of the water, before carrying on with our tour. 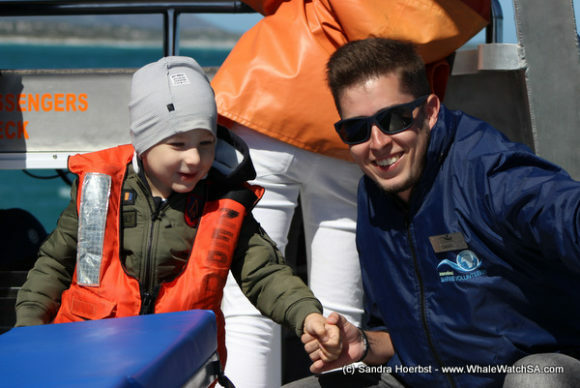 A Great White Shark and a Bronze Whaler later, we returned to the harbour for a quick swop over. 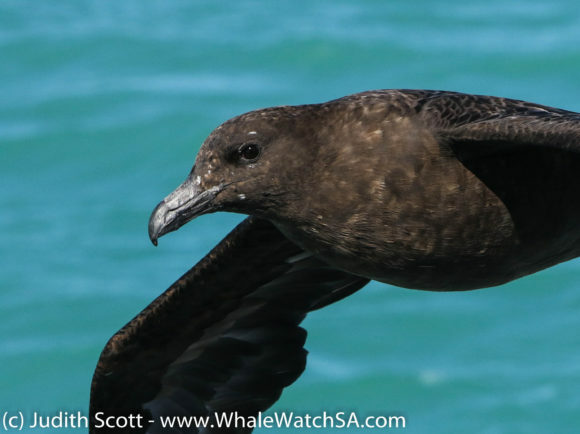 The second clients were also in luck, spotting a few swimming Great White sharks and then having Southern Right Whales galore in the Pearly Beach region. 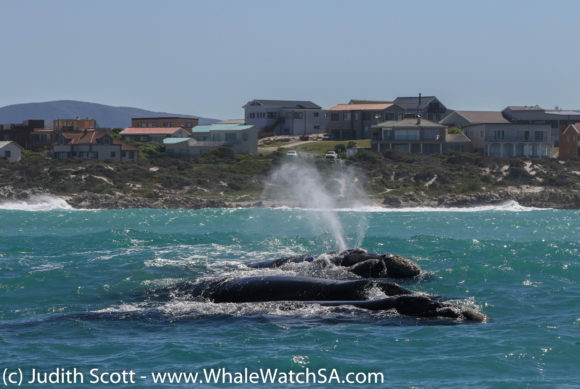 We also got to see a Mola Mola whilst waiting for the whales to surface again. 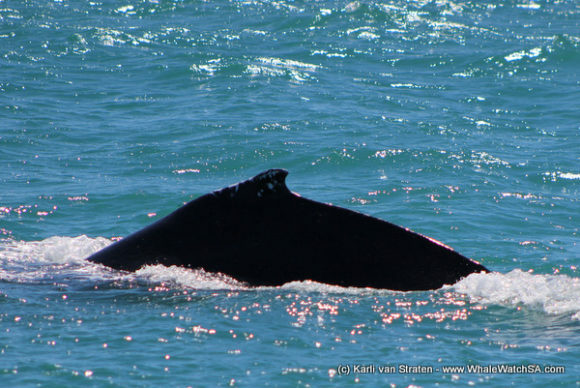 The sub adult Humpback whale was also around again so we spent some time watching this beauty carry on with it’s tomfoolery towards the end of the tour. 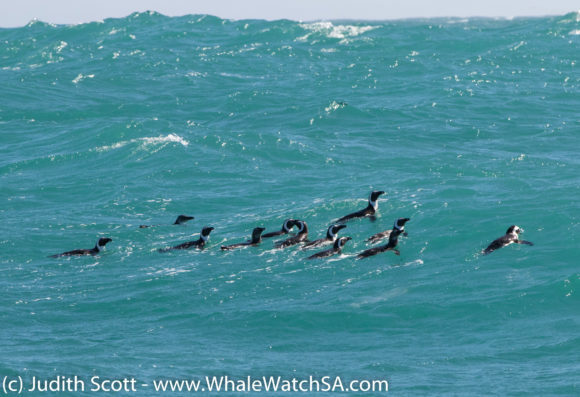 One of the definite highlights of our last trip was a really relaxed raft of African Penguins which we found en route to Geyser Rock. 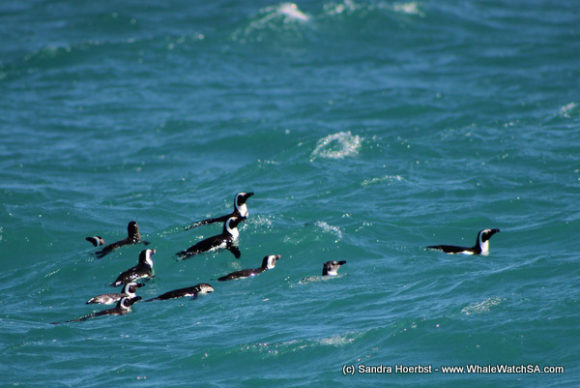 These flightless birds were a particularly valued sight for several of our patrons, who were on the boat to celebrate the 40th anniversary of their time in Antarctica, where they lived below the ice on the world’s most desolate continent.